'으라차차 와이키키2' Mun Ka Young, 'calyx + wink' is causing a stir! - '으라차차 와이키키2' Mun Ka Young, a lovely beauty at first sight! '으라차차 와이키키2' Mun Ka Young's water right eye was caught. On the morning of the 20th, Mun Ka Young's agency, KEYEAST, unveiled a photo of Mun Ka Young, who is shooting a poster for the JTBC drama '으라차차 와이키키2'. Mun Ka Young transformed into first love Han Soo Yeon who made heart of Waikiki Cha-woo-sik (Kim Sun-ho), Lee Joon Ki (Lee Yi Kyung) and Guk Ki Bong (Shin Hyun-soo) . It causes the dizziness of those who circle their eyes and take calyx pose or blow their cute winks. Mun Ka Young's lovely beauty, which makes me feel at first glance, reminds me of my first love in my heart. 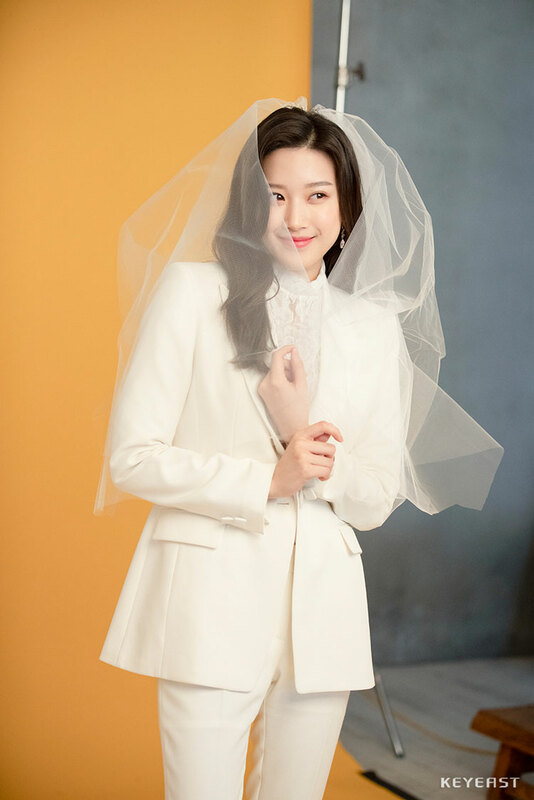 In another photo, Mun Ka Young wears a white suit and a veil. She shows the happiest smile in the world and makes a nervous expression to stimulate curiosity about the story of Han Soo Yeon in the play. Han Soo Yeon, who is in love with Mun Ka Young who is armed with such charming charms, grew up like a flower in a greenhouse. On the day of the wedding ceremony, an unexpected accident led to the guest house '와이키키', which started to stand alone. Mun Ka Young in the "와이키키", which brings together young people in the guest house "으라차차 와이키키2" and delights the friendship, love and dreams of young people, and shows the growth of youth I am curious as to how to draw. On the other hand, JTBC drama '으라차차 와이키키2' starring Mun Ka Young, Kim Sun-ho, Lee Yi Kyung, Shin Hyun-soo, Ahn So Hee and Kim Ye Won, It will be broadcast first at 9:30 on Monday night.